This could possibly be a reflection of my utter immaturity, but I have shown signs lately that I actually might be growing. 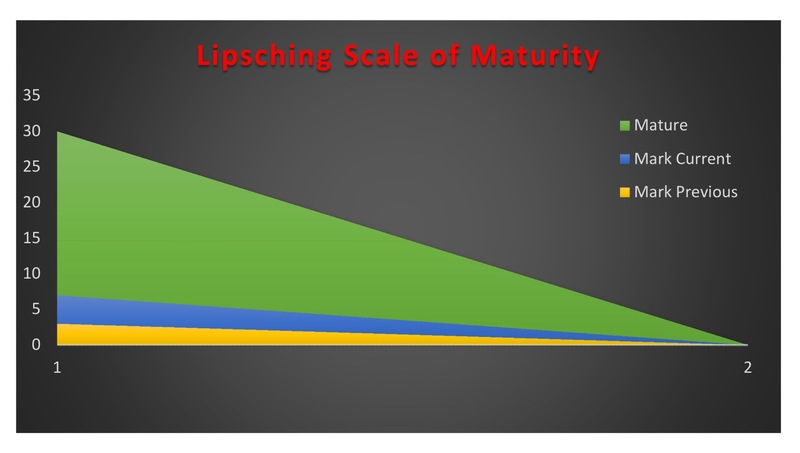 I have spent 47 years barely registering a score on the Lipsching Scale of Maturity which rates maturity in humans from 1-30. According to Dr. Lipsching, ultimate mature is a 30 and infantile is a 1. Thus far I have lived my life at a 3, but maybe now I am finally hovering at a 7 – which is exponential growth for me but still represents an incredible lack of refinement. How do I know I’m making strides? We had visitors for the weekend. New friends with young kids, the kind of kids that run all over the place and make tons of noise. My kids are older now and don’t run unless they are being chased and even then, maybe not. More likely they would analyze the threat and play possum figuring potential death is better than exertion. They aren’t much for running. As for noise, mine make incoherent grunts and occasional complaints. But they are grown up noises, not high pitched squealing and constant chatter. These kids made NOISE! The kind of noise that accompanies unadulterated fun. Constant buzzing noise that swept through our house and caught us all up in its whirlwind. It has been a long time since we parented little ones. We’ve moved past that phase. I classify parenthood into three phases, each builds on the other. You can’t jump into phase three without knowing and experiencing phases one and two. I suppose you can if you are thrust into it by adoption or marriage, but that would present numerous challenges. Likewise, once you move to a new phase you can’t go back. Again, you can if forced, but you might need a straightjacket or a fully stocked wet bar to get you through. We are in the last phase. It has its ups and downs. The house stays neater, but I sometimes miss the chaos of phase 2. Enter our guests, or as I’ll call them, The Seattle Tsunami. This is where I think I am growing up because a few years ago if kids had come over and blown the roof off, I would have been tense. I would have gotten quiet and reserved as I tabulated the costs of their destruction like an insurance adjuster. I think I would have had to excuse myself several times while a cried over spilt milk. Maybe it’s because I’m older, maybe it is because I have gotten a life lesson in what really matters, or maybe I’m preparing for the shake-them-up-and-send-them-home grandparenting years. Whatever it is, I had a ball! I loved every second of it and didn’t flinch. In fact, I joined right in. One time the two year old came upstairs holding a curtain rod like a javelin and rather than panic, I gave him instructions on proper technique. I wrestled, laughed, and played like I haven’t in a long time. I don’t own anything that can’t be repaired, repainted, or replaced. Nothing! Experience is king. Enjoy, kids! Oh, and if you planned on Googling Lipsching and his theory, PPTHHPTHPFFTHPPPT!!!! Gotcha! this is great and i’d love to play toilet tag with you and your family one day! I am still at a -10 on the Lipsching scale. Hahaha. I have the feeling there will be a warning list about me too when that day comes. It was a blast destroying your house! Thank you for having us. Love the new nickname. You guys are welcome any time. Hey! When the kids were here recently I had moments of reading comic books with them and discussing why so and so did such and such as well as leaping out and going book from a hidden vantage point and scaring their mom to the point they were in stitches! Pffffttt to maturity! I love it. Maturity is way overrated. Thank you Margy. It was a pleasure to meet you at Curefest. I think it is the rare experience to get to the place where things don’t matter unless you are a grandparent or have a life-altering crisis. So I’m ready for the grandparent phase! Blessings to you. Me and Titus my newest grandson. 2 years old. I could spend days telling about our adventures. Yes ours. You see I always make sure I get my part of the adventure haha. I am so glad you enjoyed yourself Mark. I can totally relate. What a refreshing story. 2 is the best year! I’m sure guys have a ball. Good for you Mark. I’m in stage two, and having a blast with it.